Handling videos in multiple formats is normally not an issue – unless you find that you can’t play one. When that happens you may try to find special software that can play it, but that solution is far from ideal and not guaranteed to work. Instead of trying to find ways to get your device to play a particular format, why not convert the format of the video instead? That can be done easily using Online Video Converter, and it will immediately switch any video that you add to it to MP4. To say that Online Video Converter is easy to use would be an understatement, as it really can’t get any more straightforward that it already is. All you need to do is open up the website and add the video to upload it to the converter. The only restriction when uploading video files is that they need to be under 100MB. After it is uploaded the video will be processed and converted into MP4, and you can download it and view it without any difficulty. Easy to use and won’t require you to adjust any settings or parameters at all. Entirely web-based so you don’t have to download or install any software on your computer and can use it on any device with internet access. Converts videos to MP4 which is by far the most popular format and is supported by most devices and platforms – as well as preferred by video sharing websites and social media. Completely free and can be used without any payment or hidden fees. In short, Online Video Converter is the perfect way to quickly convert your videos regardless of the device you’re using – and to a format that you should have no trouble viewing. While online video converters are useful, if you’re looking for more features you may want to consider the desktop version of Online Video Converter. It retains the same intuitive and user-friendly approach, but offers a far more comprehensive range of features. For starters the desktop version will let you convert to wide range of video formats, and you can pick the one that you prefer. In fact it also supports image and audio file conversions, and will let you cross-convert between different types of media to create animated GIFs, extract audio tracks, and more. 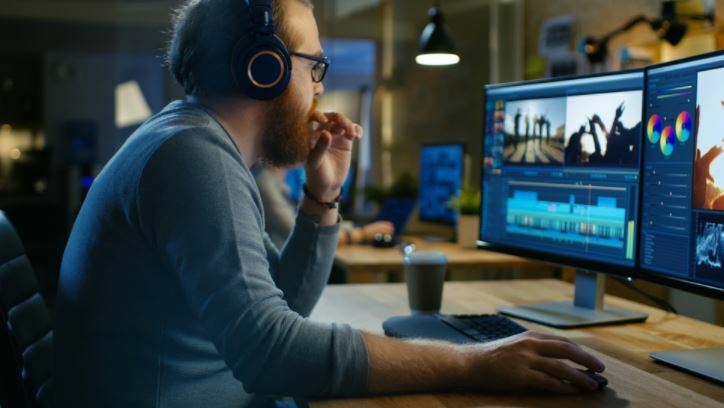 Aside from that there are lots of other features present that you can use to compress your video files, enhance their quality, edit them, and more. Simply put it is a full-fledged media converter that will let you prepare your files in many different ways. If you’re wondering whether you should use the online or desktop version of Online Video Converter, just ask yourself: What are you looking for? Assuming you just want to convert a relatively small video file and make sure it is compatible, the Online Video Converter will more than suffice and will let you get the job done quickly. However if you want more than that, the desktop version will be sure to provide it. How do CNC Machining and 3D Printing Compare?